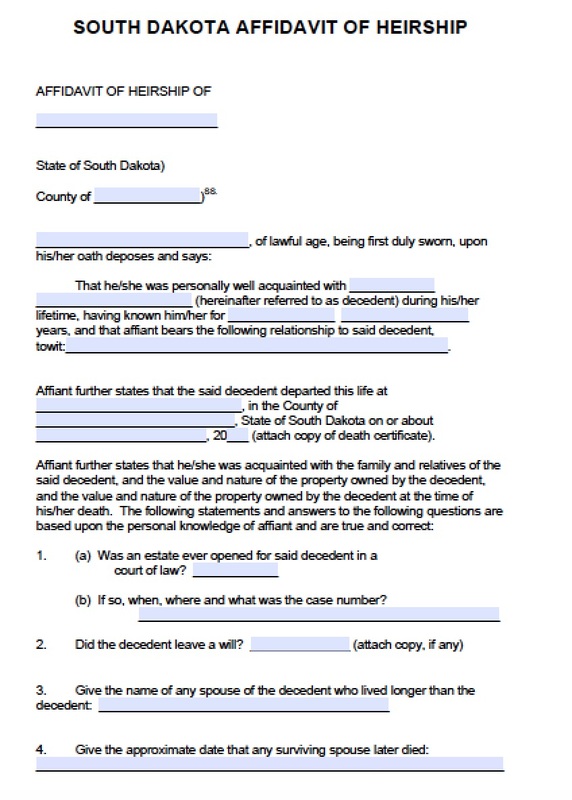 In order to claim a deceased loved one’s motor vehicles – including cars, trucks, and RV homes – the heir(s) must file an affidavit of heirship specifically for vehicles in South Dakota. 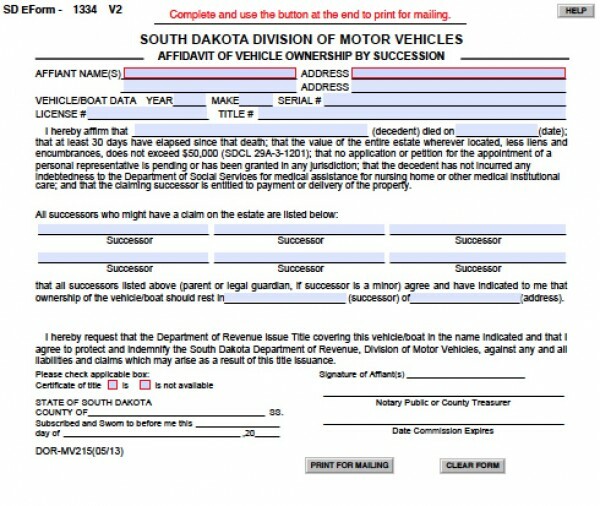 This document states that at least 30 days have passed since their loved one died, and the total value of the motor vehicles does not exceed $50,000. 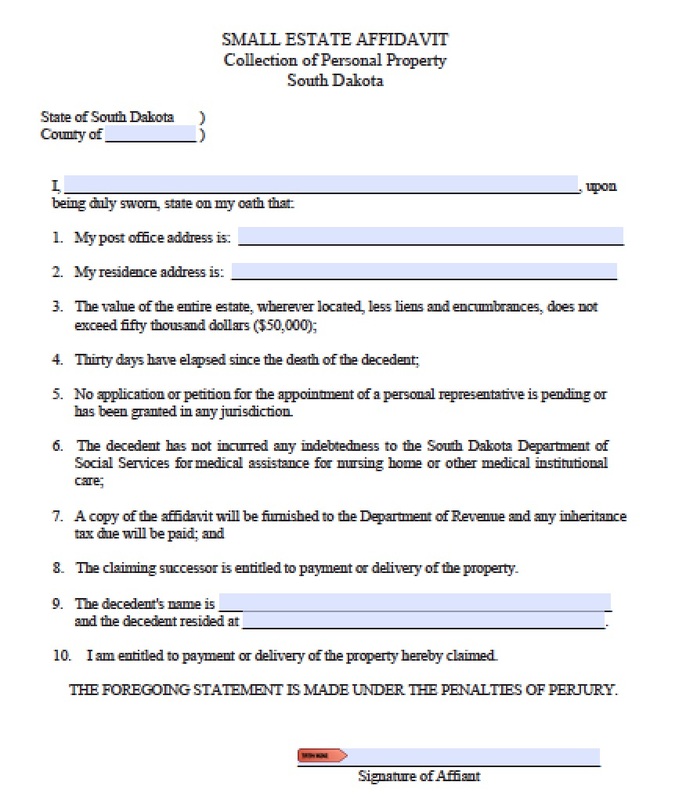 The document also states that there are no other pending claims to the vehicles in probate court, and no last will and testament that gives the vehicles to other heirs. The affidavit of heirship, vehicles only is governed by statutes S.D. Codified Laws §§ 29A-3-1201 and following.